Iconic design and premium materials fuse with innovative Skechers Performance technology to achieve the ultimate in comfort and style. 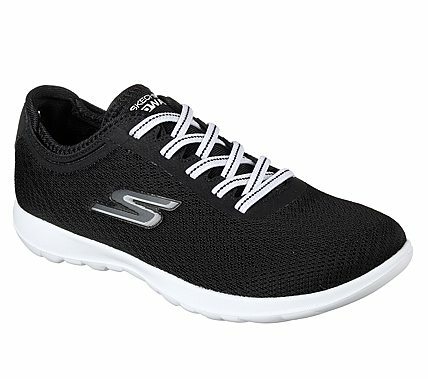 Skechers GOwalk Lite - Impulse has a mesh fabric and synthetic upper in a casual comfort slip on bungee stretch laced sneaker with stretch fabric collar. Goga Max insole.